I preached at First Baptist Church Waco, Texas this past Sunday. Those wonderful people took a vote and asked me to be their pastor. We were humbled to tears and are excited about serving God with them. We are also grateful for the prayers of our friends in Meridian, MS. The gracious spirit of our church family is a testimony to their unshakable faith in Jesus. Their encouragement was bread for our journey and I'll always be grateful. I also took courage from a strange place as I approached our weekend in Texas. 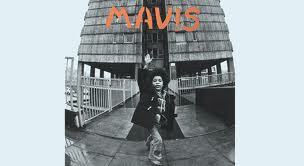 I said a prayer of gratitude this morning for Mavis Staples, Wilco, and Lollapalooza. Let me explain. We spent the first night of our trip in Bossier City, Louisiana. We hunkered down in a budget motel just off the interstate. One of the perks of our stay was a free USA Today. They ran a great article about Mavis Staples, Jeff Tweedy of Wilco and Lollapalooza. I've always loved Sister Mavis and Wilco is incredible. I keep up with them trough Mr. Tony Sansone. Mr. Tony is a member of FBC Meridian and one of my favorite people. His son Patrick is in the band and Mr. Tony is proud. Mavis and Jeff Tweedy have started working together and that opened a door for her to play the big show in Chicago. She's not the normal fare and was a bit concerned about what to wear and how to act. Mavis leaned on a lesson from her father Pops. He would say, "You're singing God's music. You be sincere. What comes from the heart reaches the heart." She reflected, "So whatever audience it is, that's my trump card." Great advice! Every congregation has a voice. Let's sing God's songs from the heart. It's the only hope we have of touching the hearts of others.